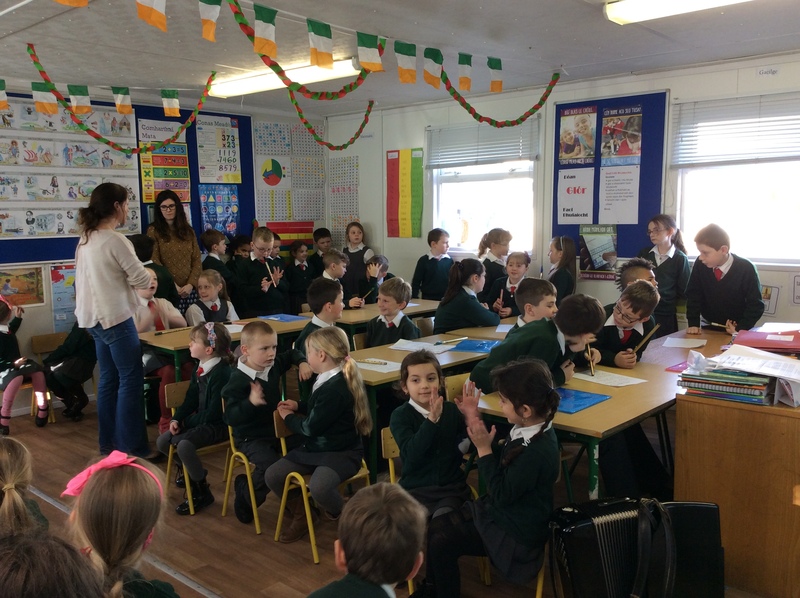 Ba onoír dúinn gur bronnadh brat na hÉireann ar ár scoil. 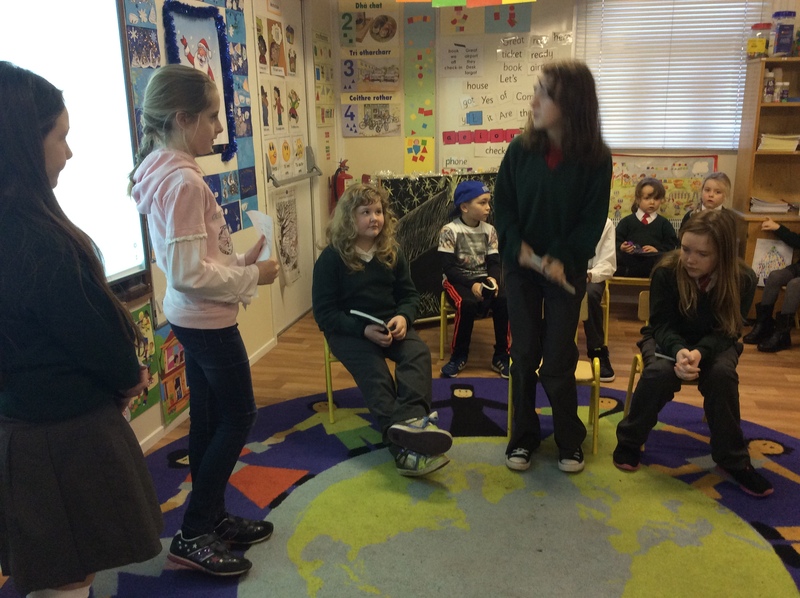 Tháinig beirt shaighdiúr ó Óglaigh na hÉireann ar cuairt chugainn. 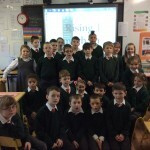 Shein, chan agus lèigh na daltaí. 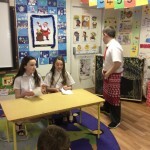 Bhí said ar fheabhas! 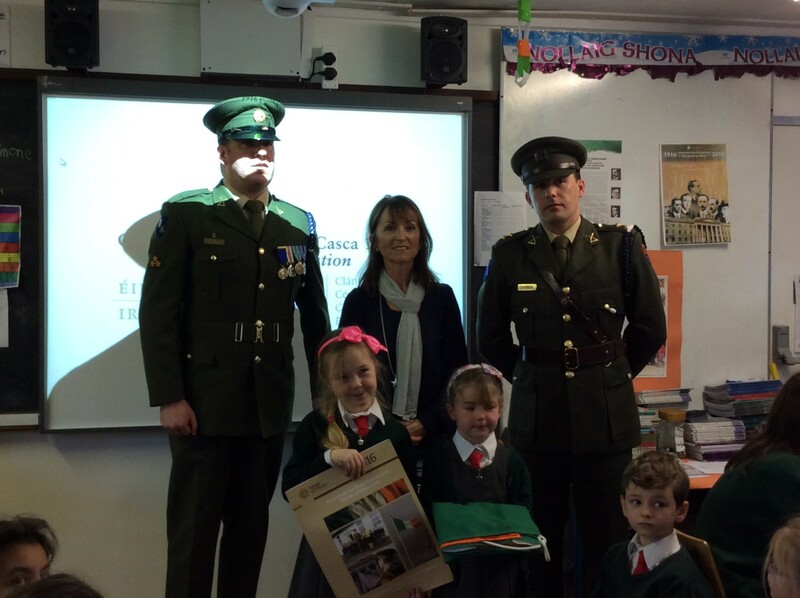 We were honoured to be presented with our national flag on Monday the 14th of December. 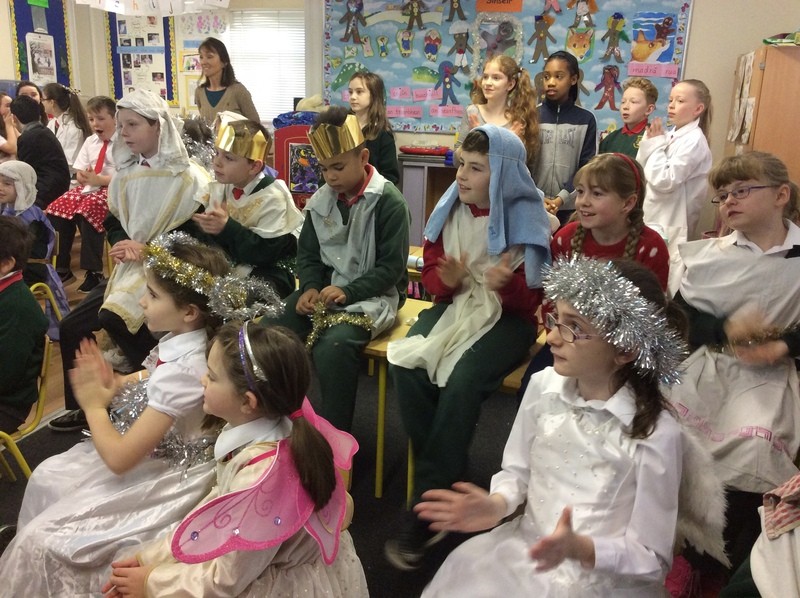 The ceremony was a great success. 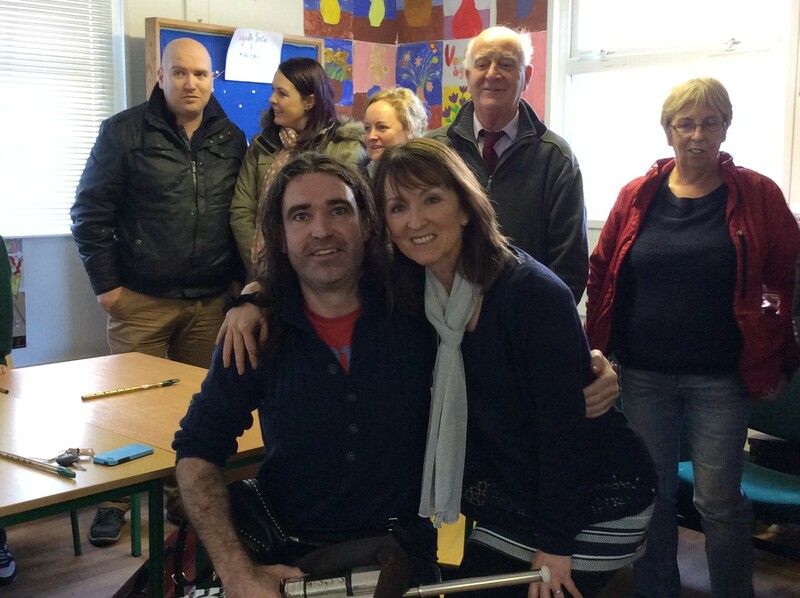 Special thanks to our past pupil Michael Blackie Connelly for playing his beautiful rendition of Róisín Dubh on the uileann pipes. 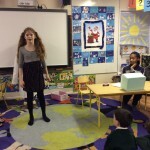 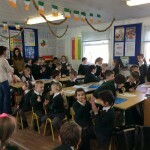 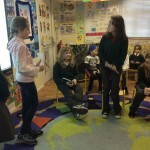 Ceol,dramaí agus spraoi ar scoil! 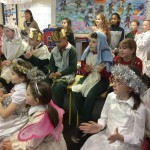 Ceolchoirm: Beidh ceolchoirm ag na naíonáin ar an Aoine an 18ú lá ag a 11:30. 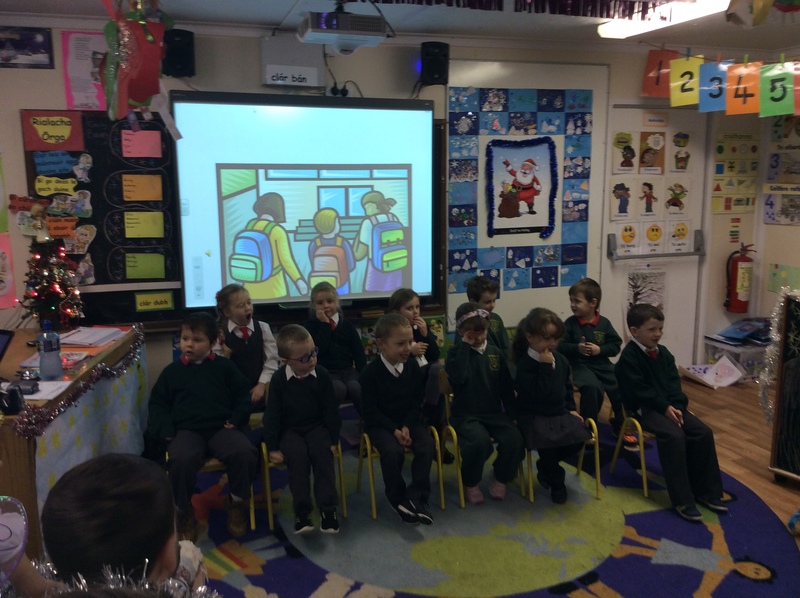 Beidh ceolchoirm Rang a 1,2 & 3 ar an lá céanna ag a 12 a chlog. 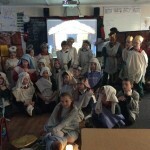 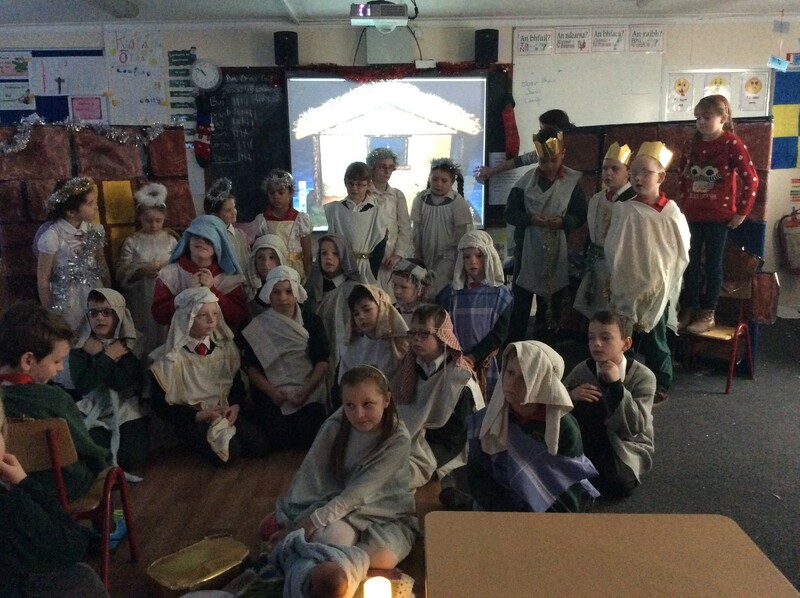 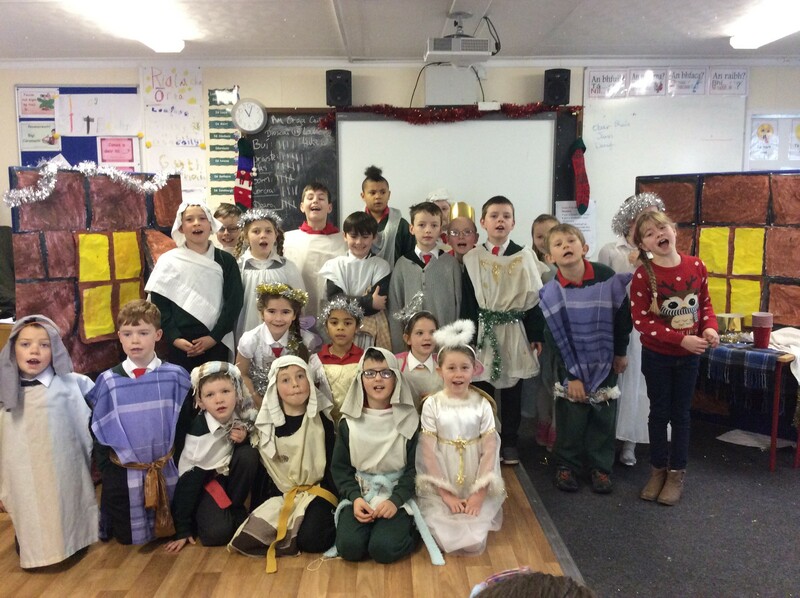 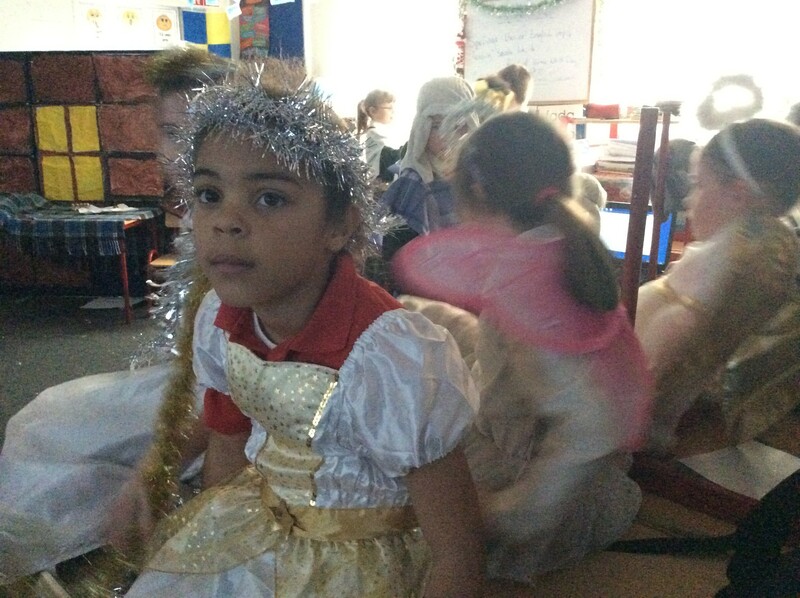 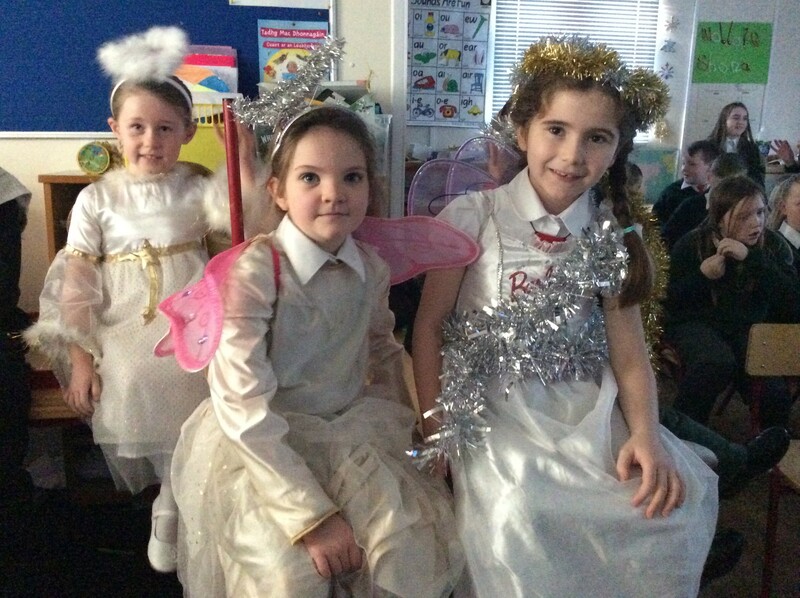 The Infants will do a short Christmas performance on Friday the 18th of December at 11:30 followed by Rang a 1,2 &3 at 12 o’clock. 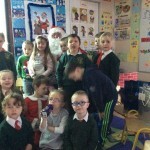 Tá fáilte roimh thuismitheoirí. 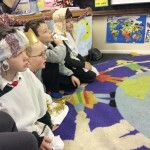 Daidí na Nollag: Beidh Daidí na Nollag ag teacht go dtí seomra na naíonáin maidin Dé Máirt an 22ú lá. 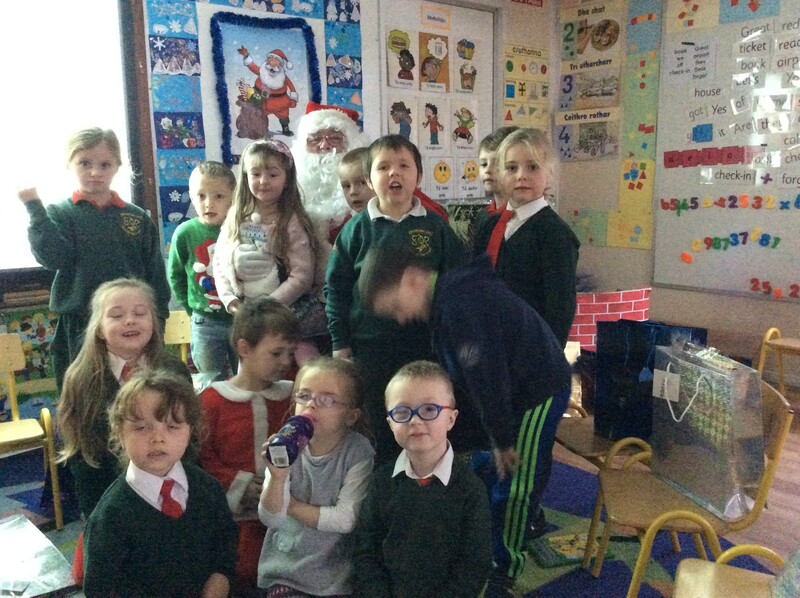 Santa will visit the Infants classes on Tuesday the 22nd and parents are asked to give €2 to múinteoir Aisling towards a present for each child. Go raibh maith agaibh! 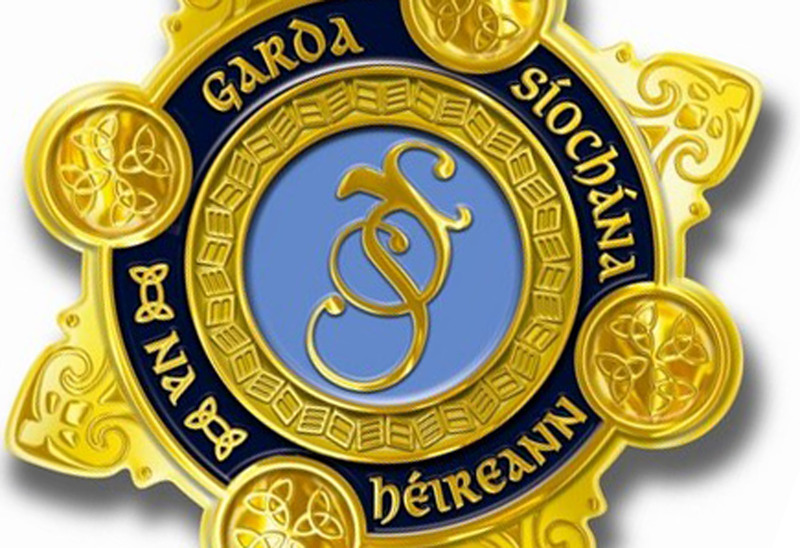 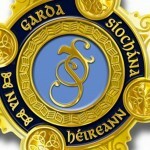 Thug beirt fhear ó fhoireann múchta, comhairle agus alán moltaí do ranganna 3,4,5,6 ar conas timpiste dóiteáin a sheachaint i rith na Nollag agus aon am eile. 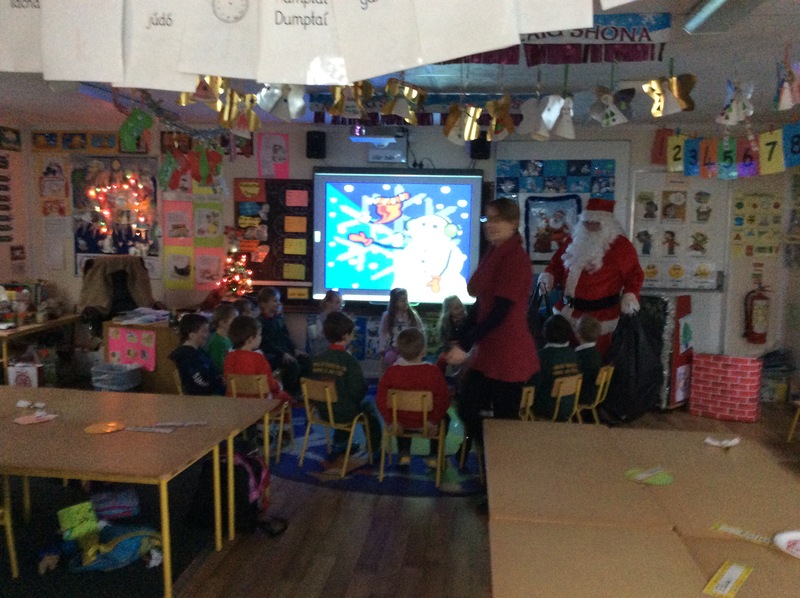 Two Shannon firefighters kindly visited the school recently to speak to the children about Fire safety in the home. 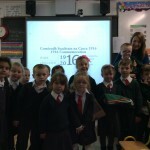 It was a very informative visit and the children learned a lot from it. 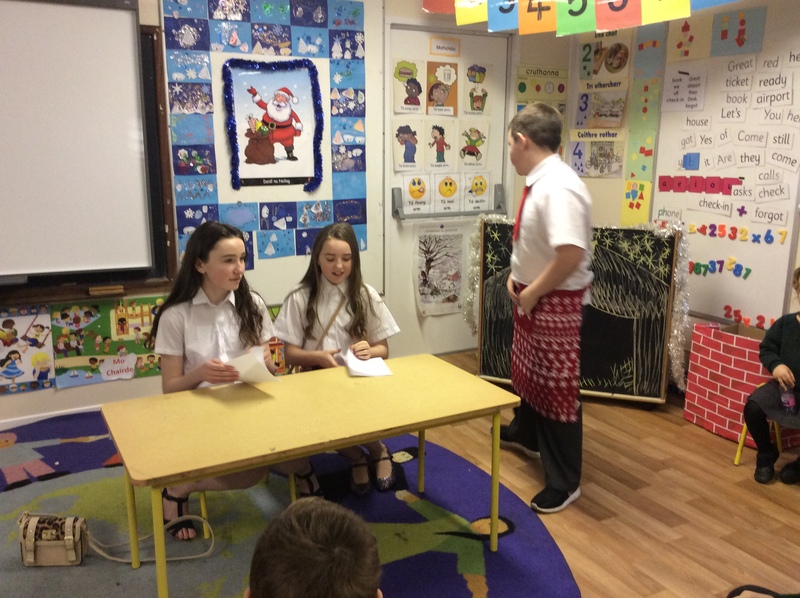 Tháing garda ar cuairt chugainn freisin chun a mhiniú dúinn an tábhacht atá le clogad a chaitheamh le linn dúinn a bheith ag rothaíocht. 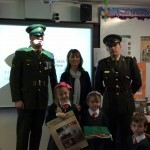 We also had a visit from our local garda, who spoke to the children about the importance of keeping safe while cycling. 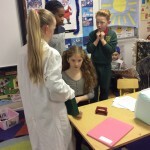 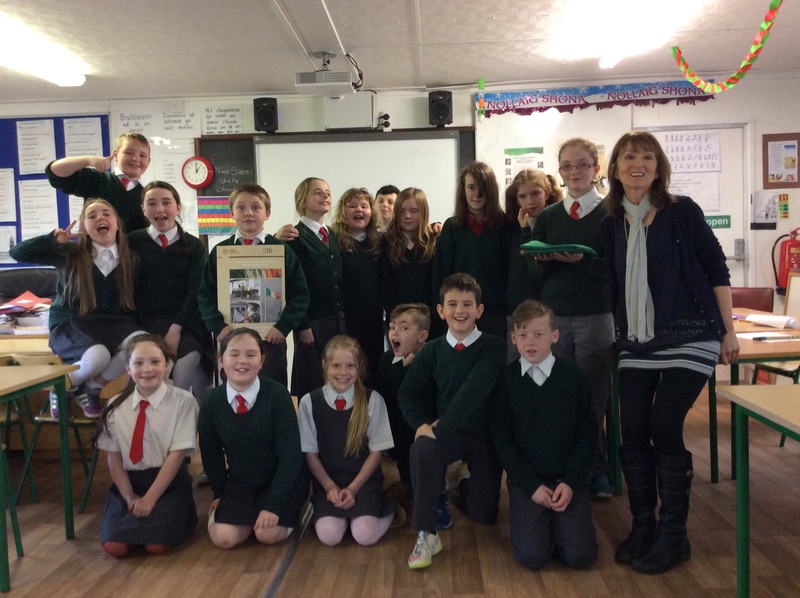 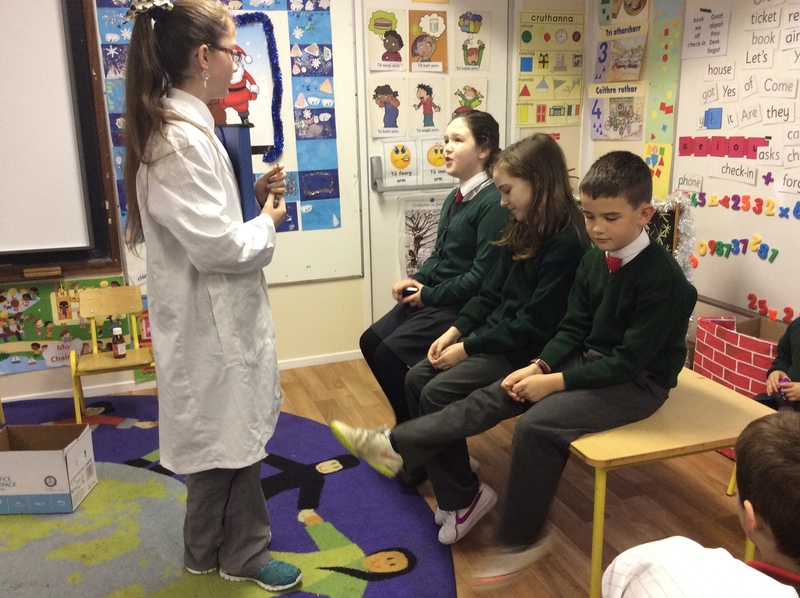 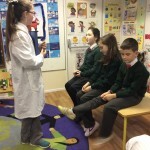 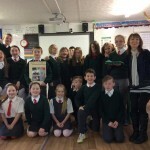 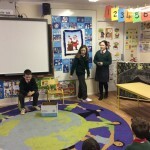 Ba onoír dúinn gur bronnadh brat na hÉireann ar ár scoil Dé Luain. 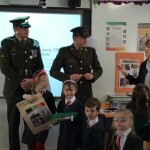 Tháinig beirt shaighdiúr ó Oglaigh na hÉireann ar cuairt chugainn. 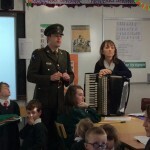 Sheinn ,chan agus léigh na daltaí. 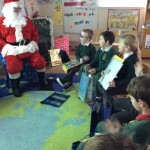 Bhí siad ar fheabhas. 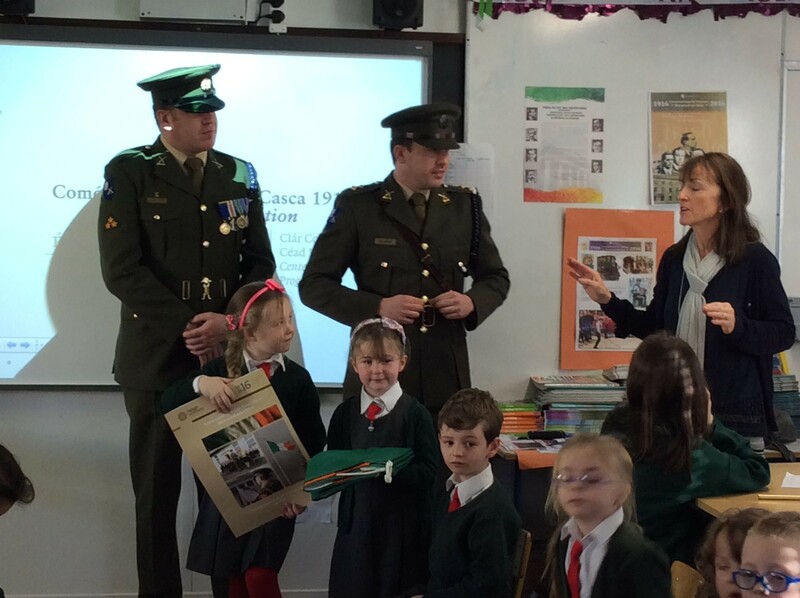 We were honored to be presented with our national flag on Monday the 14th of December. 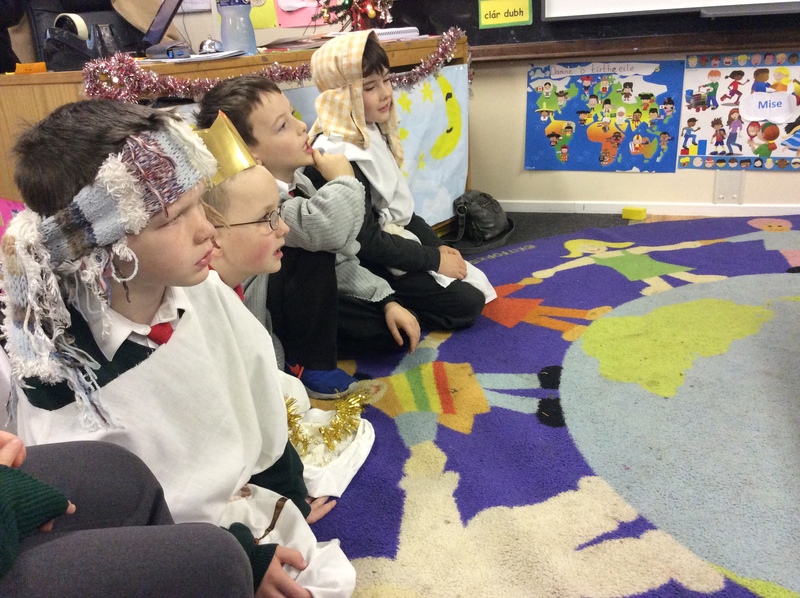 The ceremony was a great success. 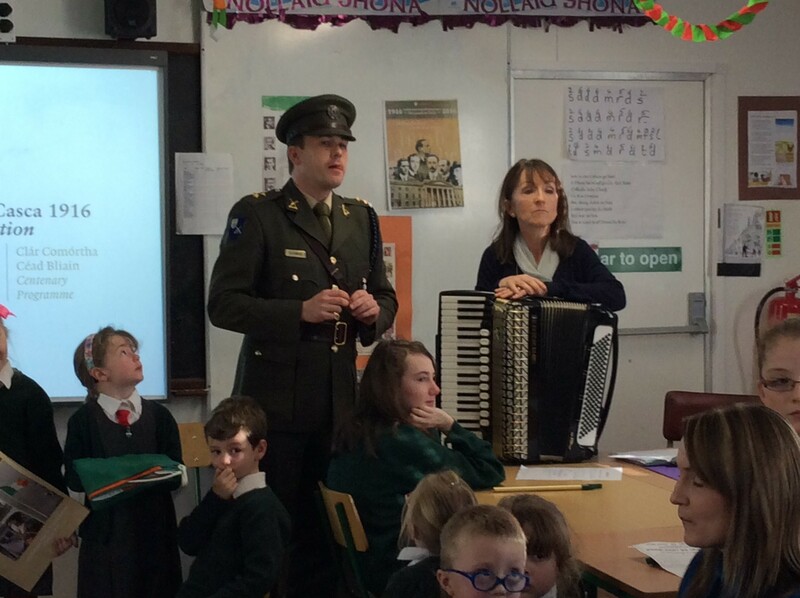 Special thanks to our past pupil Micheal Connelly for playing his beautiful rendition of Rosín Dúbh on the uileann pipes. 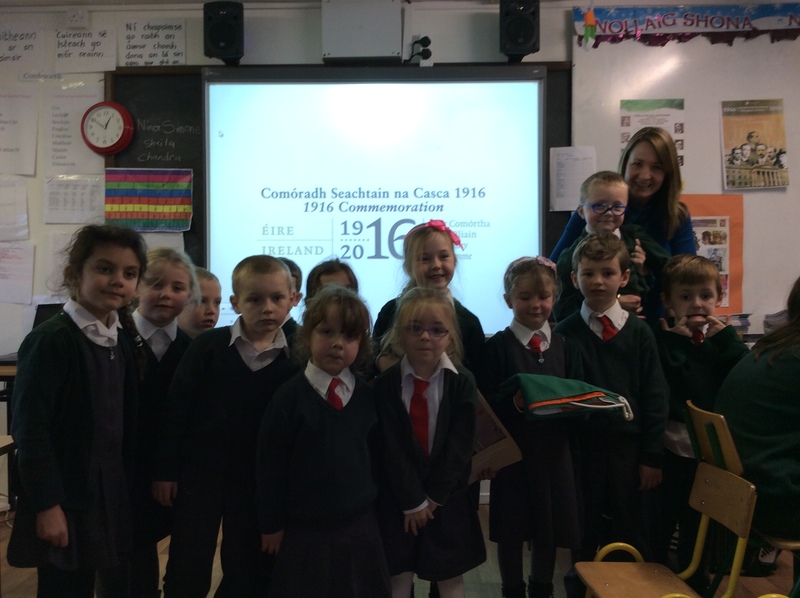 Bhuaigh Oisín Mac Conbuí ó rang a cheathair corn agus bonn le haghaidh comórtas Karatae.Oisín won a throphy for coming first in a Sparring competition. 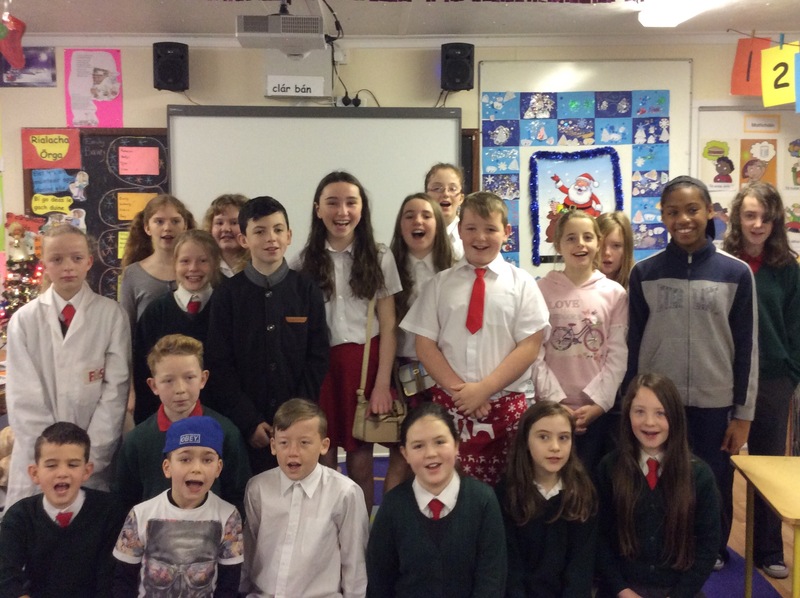 The New board of Management was ratified on the 1st of December 2015. 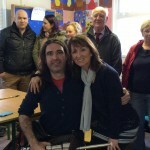 Fáilte roimh Sandra Ní Amhragán, Damien Keane agus Gearoidín Ní Mhaoldomhnaigh ar an mbord. 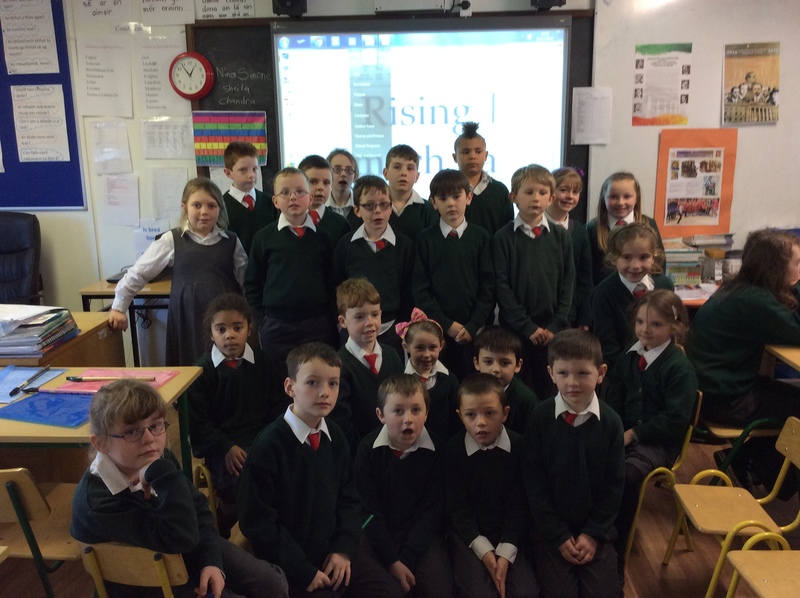 Féilire : The 2016 school calendar is now on sale at a cost of €10.We ask that those who have yet to pay for calendars received do so as soon as possible or return them to the school. 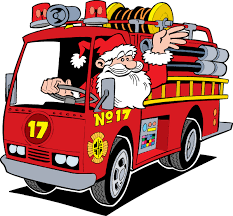 Thank you to all of those who have already purchased one. 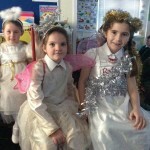 School will reopen on Wednesday the 6th of January. 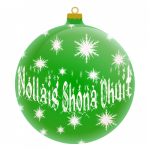 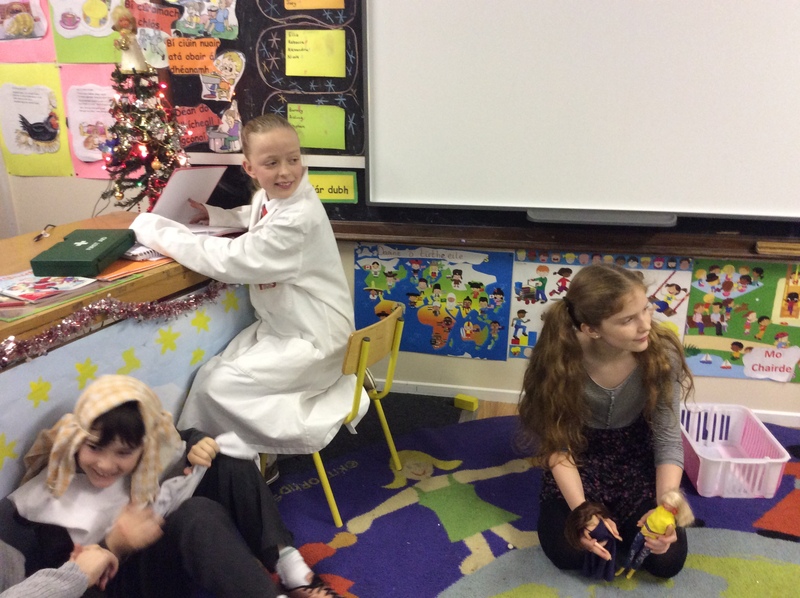 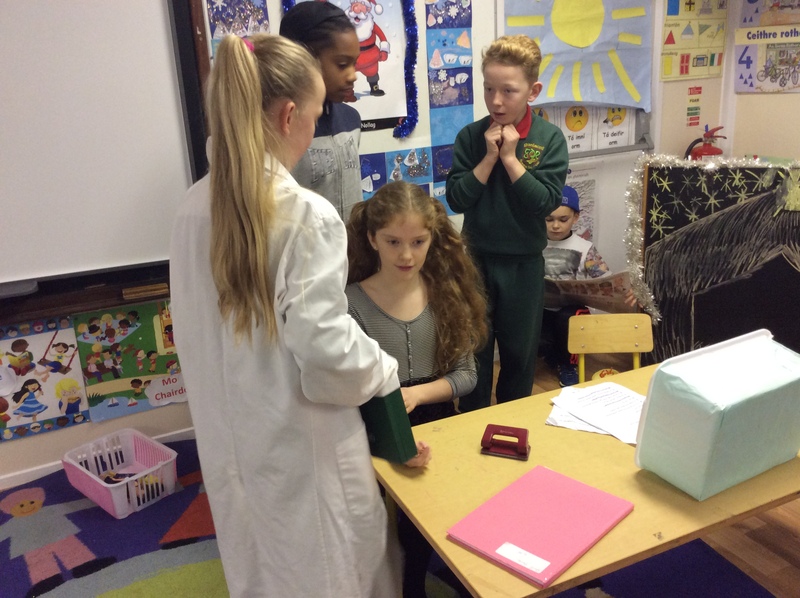 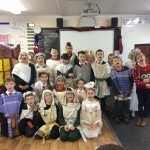 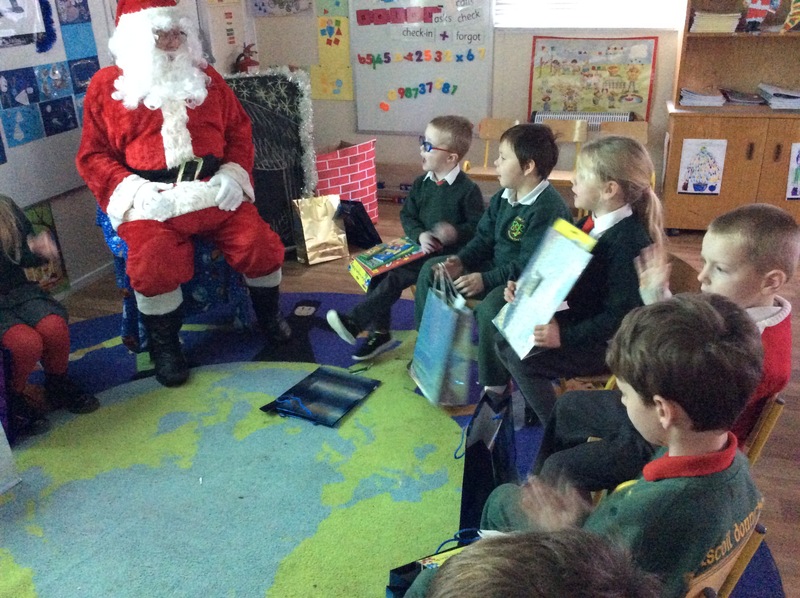 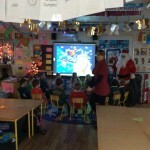 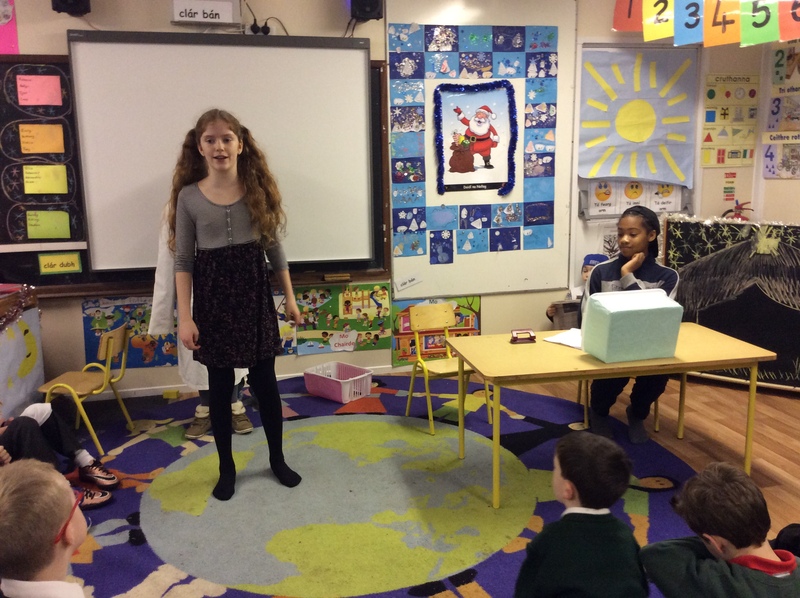 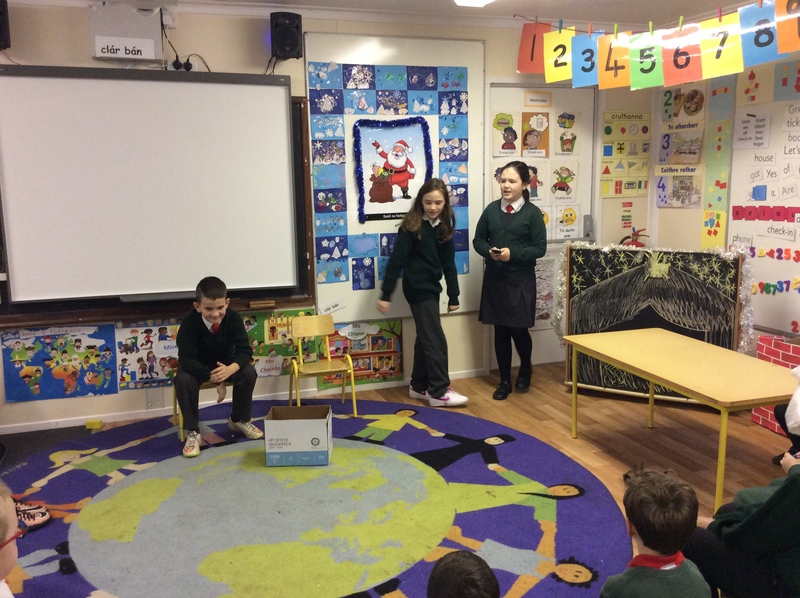 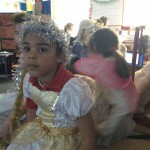 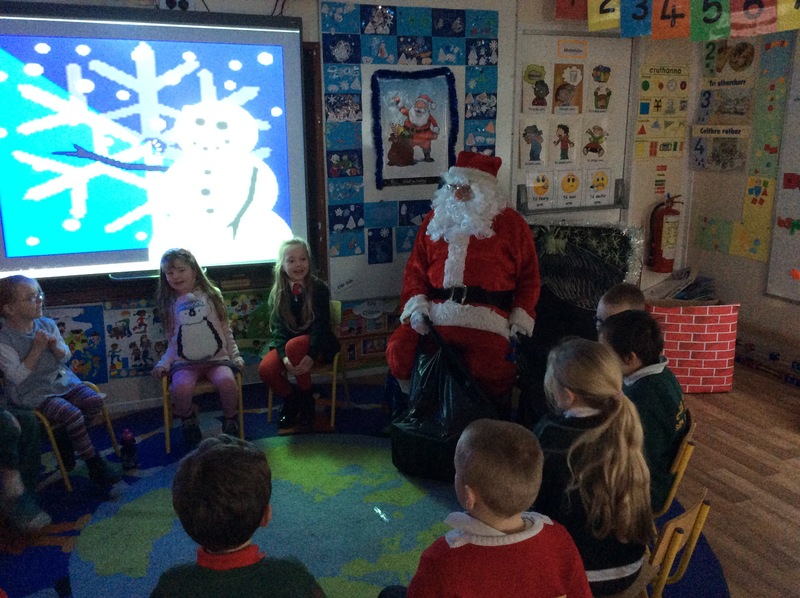 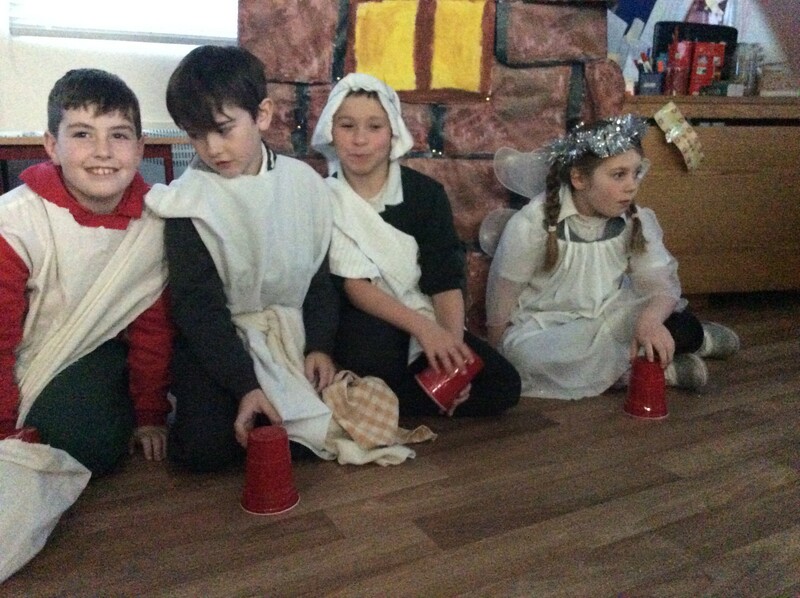 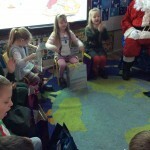 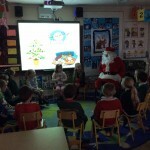 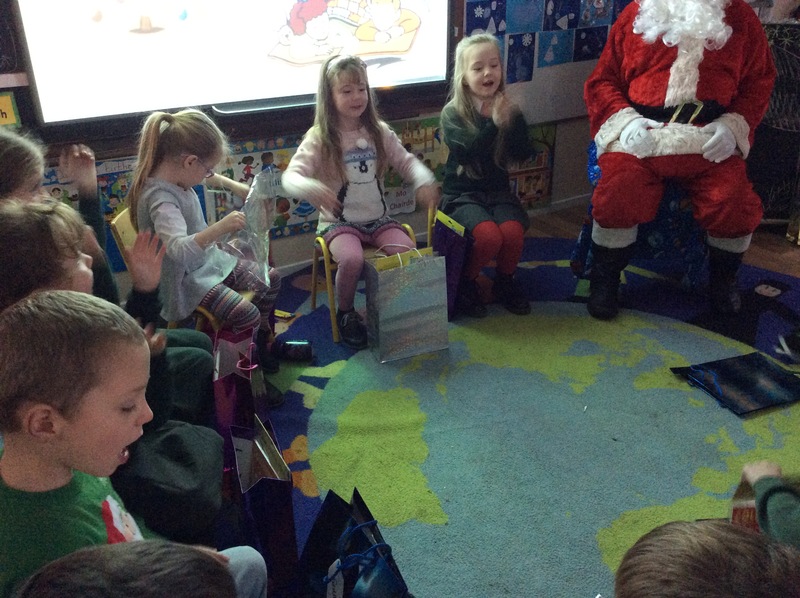 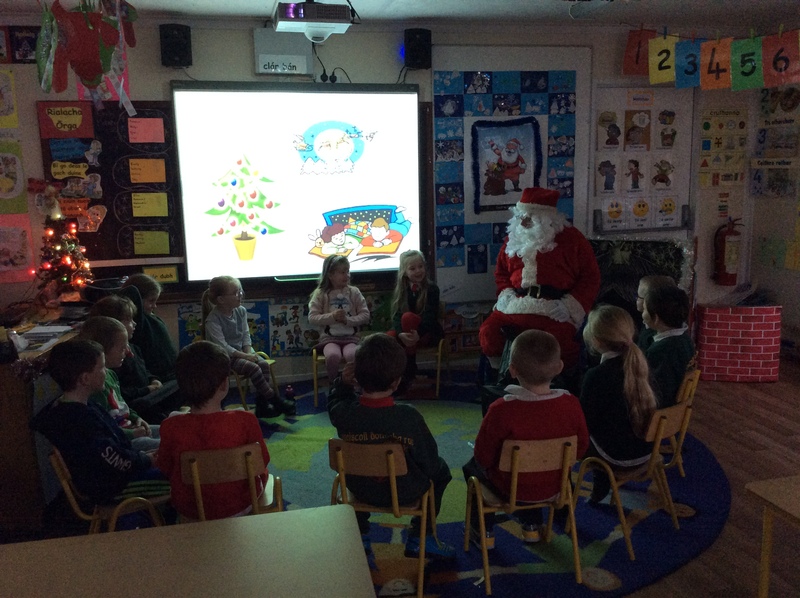 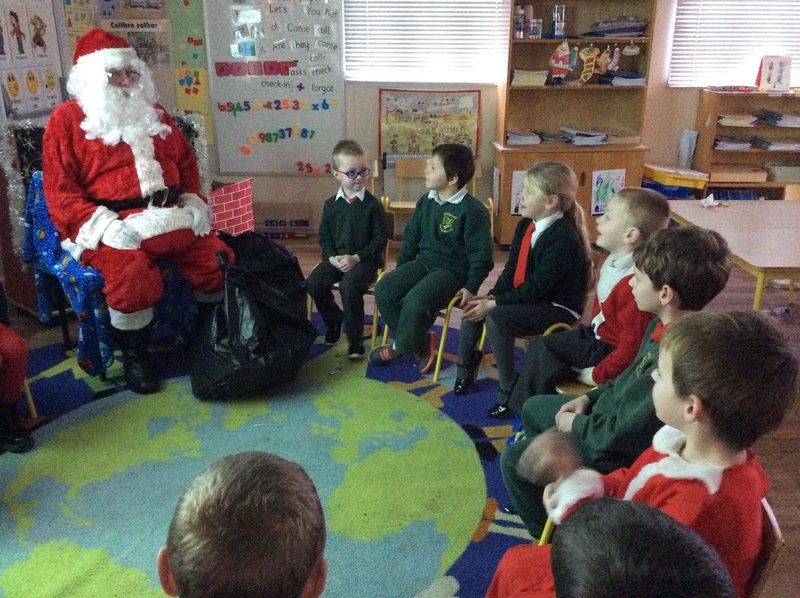 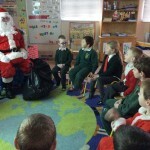 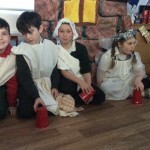 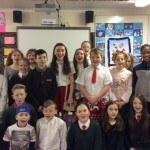 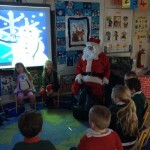 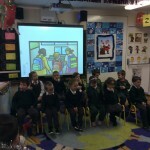 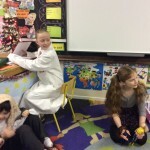 Nollaig Shona agus Athbhliain faoi shéan is faoi mhaise duit ó chuile dhuine i nGaelscoil Donncha Rua.